Posted May 28th, 2013 by David Porter & filed under MailBigFile, Sponsorship. 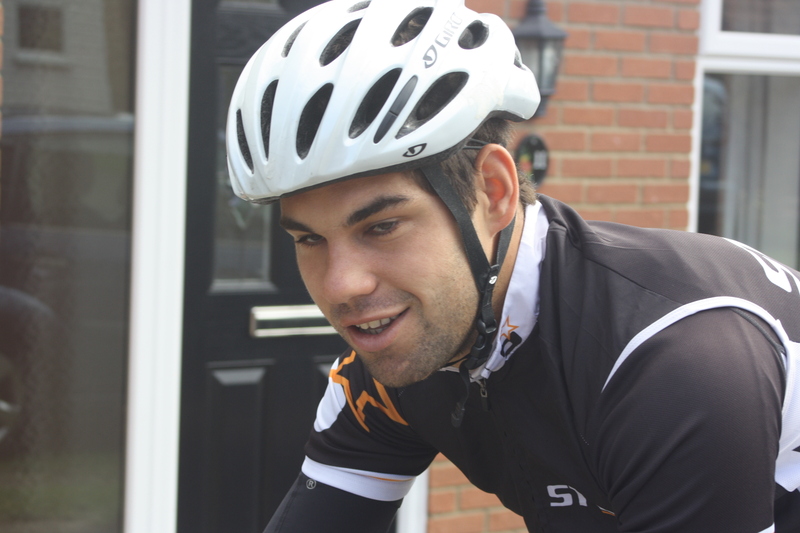 With the new season for sports of all kinds now underway, we interviewed local Ironman triathlete, MBF-sponsored, Joe Skipper about his start in the sporting challenges he now faces daily. How did it all begin? Joe was fascinated by swimming and running at an early age and got a bike when he was about 13. His Dad encouraged him to add that cycling to his skill set to go the whole way and get interested in triathletic sports. Through university he got into cycling big time with a few competitive sports and now takes it very seriously indeed. His Dad is proud! There are different forms of triathletics, with the Olympic one perhaps the most well known at the moment (1500m swim, 40km cycle and a 10km run). But Joe is an Ironman. This one is not for the faint hearted. 112 miles cycling, a marathon (26.2 miles running), 2.4 miles swimming. To train for this and keep in the peak of fitness requires discipline and determination. Those cold, dark, wet mornings are hardest, especially if training alone, but once outside and going, Joe says he is happy. He missed most of the dreadful winter in Britain of 12/13, training in Spain. Now home for the summer, he puts in one harder session a day and one less rigorous, alternating the sport. There are events coming up in Bolton, Surrey and across Exmoor soon. He says that confidence is the main thing. Having put in the work, he is confident that he can take 26 miles in his stride, quite literally and still have energy enough to complete the challenge. He starts with a 2.4 mile swim, emerges from the pool wet and straight into a tent where the kit is set out for each competitor. Straight out of wet into dry clothes, the clock still ticking. Then it’s onto the bike for a straight 112 miles, at the ends of which he racks it, changes again but only minimally, and off running a marathon that would be enough on its own for most athletes. Food? taken on the go, with lots of shot-blocks, described as like jelly shapes top provide the boost necessary. He takes Cliff cranberry and lemon energy drinks and energy gels. Toilets? Well, there are a few portaloos en route, but not many. ‘If you have to, you use one, but while you’re spending a penny, the clock keeps moving and your nearest rivals will push ahead.’ It can make the difference between winning and coming second, between scooping the prize money and coming away empty handed.